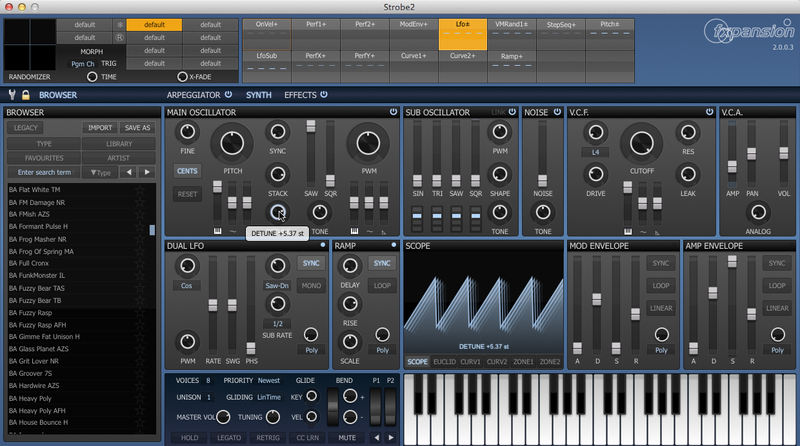 FXpansion has announced the release of Strobe2, a new reimagined version of the software polysynth which puts diverse new sounds effortlessly within your reach. 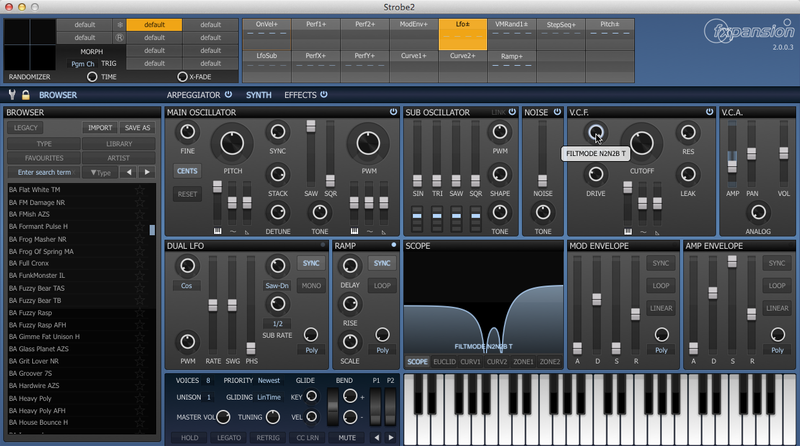 Strobe2 builds on the original's realistic analogue modelling and deep but intuitive synthesis with a slew of enhancements and requested features. 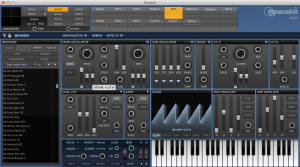 Highlights include an effects section, revamped arpeggiator, deeper modulation processing, preset-morphing, randomizing and a scalable vector interface for retina and 4K displays. 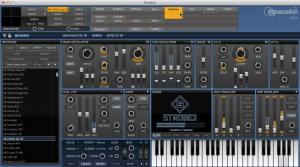 Strobe2 retains the original's signature character - a 'super-oscillator' with stacking, detuning and sync, a warm saturating VCA, the TransMod modulation system and a powerful multimode filter with 22 responses for massive tonal variety. Multi-waveform osc with sub osc and noise. 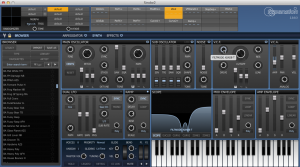 Hard-sync, osc-stacking, detune and phase reset. Multimode filter with 22 modes and drive. 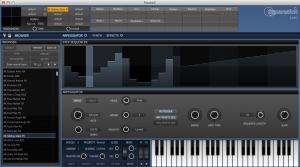 Powerful LFO with clock-divided 'sub LFO'. New Euclid and Curve modulation processors. 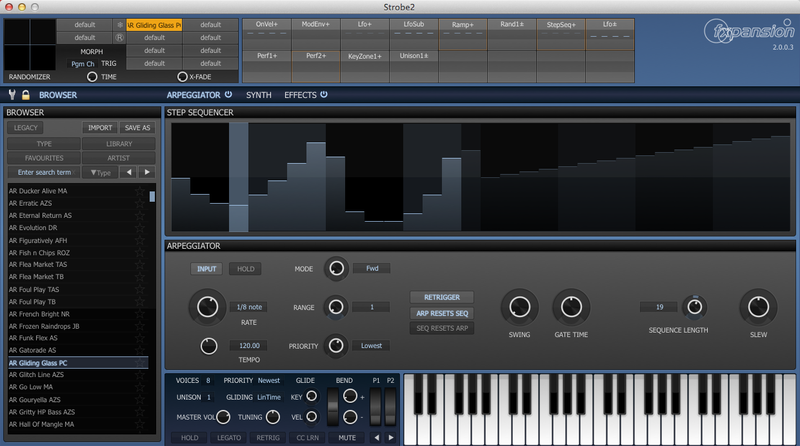 6-block effects page with over 25 processors. Scalable vector interface supports retina/high-res. 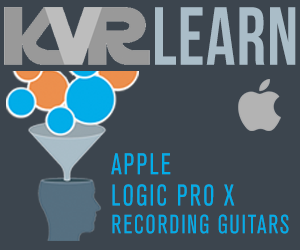 VST, AU, AAX64 and RTAS formats for Mac & Windows. 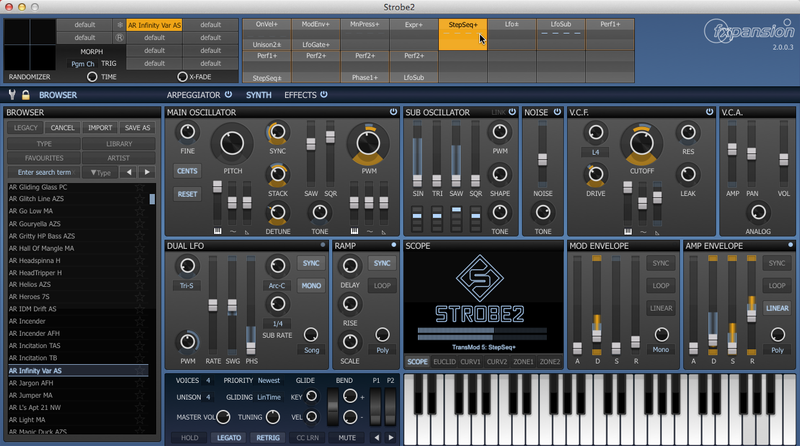 Strobe2 is available as a download-only product from the FXpansion web shop. 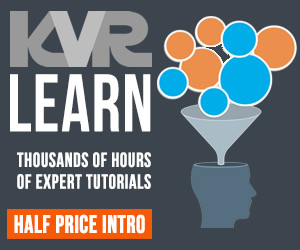 Pricing is $179.00 / €165.00 / £119.00 inc VAT. Upgrade offer for registered FXpansion DCAM Synth Squad customers: $79.00 / €72.00 / £52.00 inc VAT (please log into your user account to show the upgrade offer price in the online shop). 06 Nov 2015123creative.com releases "DivineSun FXpansion DCAM Strobe Soundset Vol.1"